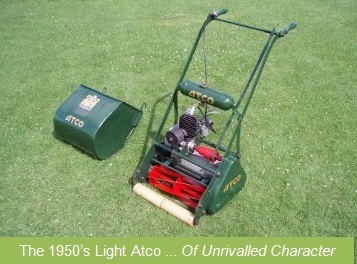 Classic Cylinder Lawnmowers and other Vintage Machinery The Old Lawnmower Company is a family business specialising in traditional cylinder lawnmowers. These quality machines give a greatly superior cut to conventional rotary motor mowers; improving the health and appearance of lawns. 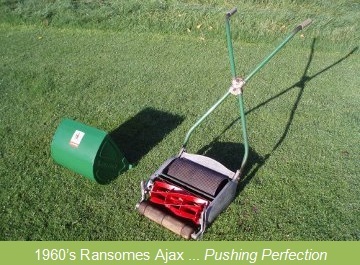 Over the past ten years, we have supplied rebuilt cylinder mowers to hundreds of customers in Great Britain and abroad, who have seen the benefits that these traditional machines bring (see our testimonials section). 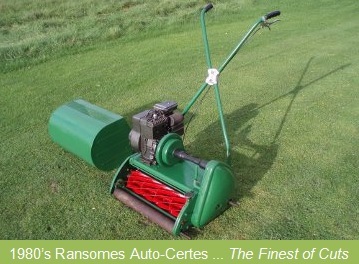 When you buy a cylinder mower from the Old Lawnmower Company you will be buying a classic piece of British Engineering, which has been rebuilt to ensure its performance and reliability is second to none. Uniquely, we supply our machines with a First Season’s Use Guarantee (conditions apply). See our sales section for a selection of the mowers that we currently have on offer. With a lawnmower from The Old Lawnmower Company you are getting a thoroughly overhauled and guaranteed machine. See our buyers guide section to find out why these are a cut above the second-hand mowers available on auction websites and elsewhere. 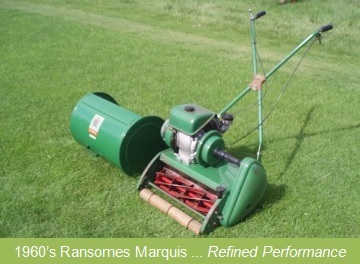 We offer professional servicing and repair of customers’ existing cylinder lawnmowers, with the knowledge and expertise to undertake full mechanical restoration projects - all at competitive rates (see our restoration section). We specialise in helping sports clubs keep their machinery reliable and performing to a high standard - providing the thorough and detailed level of servicing required to keep them in regular use (see our cricket club section for more details). Contact us for quality used parts - we offer Atco spares, Qualcast spares, Ransomes spares, Webb spares. Old lawnmower grassboxes a speciality - an old lawnmower must have a grassbox! 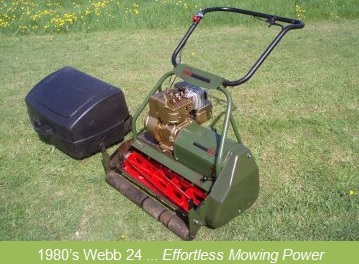 Why not see if we have the lawnmower grassbox that you need?